And here we are (yet another “know it all” marketing agency) telling you that if you don’t start investing some more cash into online marketing, you will be left behind and miss out on the massive opportunity. Here’s the thing…we can’t change the facts. Consumers are glued to the web, and they use it to search for everything from finding new shoes to getting rid of pests. They also don’t like to leave their seat and go to the store anymore. Point and click is oh so much easier than showering, gassing up, dealing with pushy salespeople (not yours), and arriving back to the same spot on their couch two hours later. 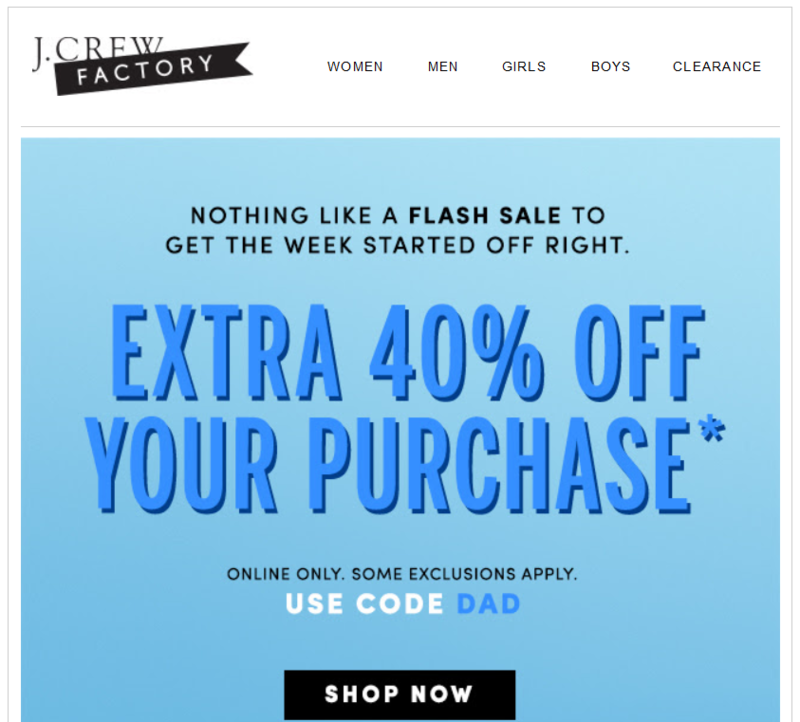 Let’s face it—the web is a shopper’s dream. If this weren’t the case, you wouldn’t be reading this digital article. You’d be at your local library rummaging through your card catalog (oh wait, those were replaced by computers too) to find a few pages in a book that apply to you (three hours later). If you want to compete in this digital age and also be everywhere your target market is hanging out, you have to market online, plain and simple. Just look at these guys: the clothing retailer Next. Next’s retail sales fell 7.9%, and retail profit fell by 24% in 2017. Yet at the same time, online sales increased 9.2% and online profit jumped 7.4%. Next was left behind as the digital marketing landscape zoomed by them at a rapid pace. To correct its wrongs, the retailer plans on ramping up its digital spending to become more competitive and meet demand. 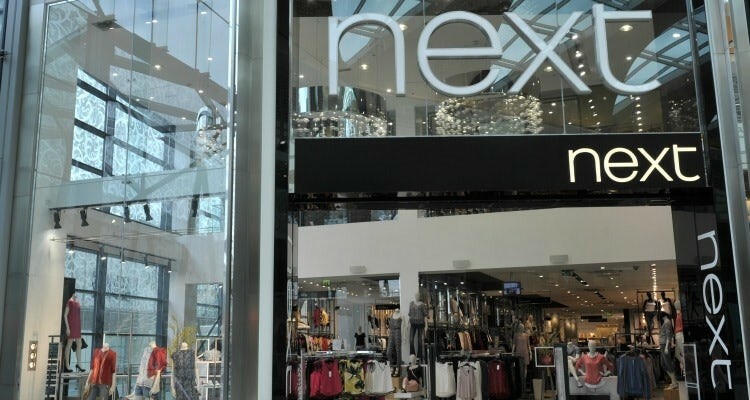 Next is increasing its digital budget this year by 25% and investing heavily in personalization plans that will allow the retailer to better target its consumers and understand their unique behavior to deliver an improved experience. Whether you simply market your store online or actually sell your goods digitally, the key here is that the web can expose you to a wider audience. Did you know that 72% of young customers research their options online before even visiting a physical store? You may be looking for more foot traffic into your store, but your online presence is your digital “front door.” Your potential customers may need to open your website door first before opening the door to your physical store. But, if you don’t have a website (at a minimum), your consumers could pass you by and run to your competition. A website offers customers a glimpse into your brand and what you offer—and gives you a place to build your subscriber base (more on this later) and promote your offers. Once you have a website, then you need people to be able to find you. 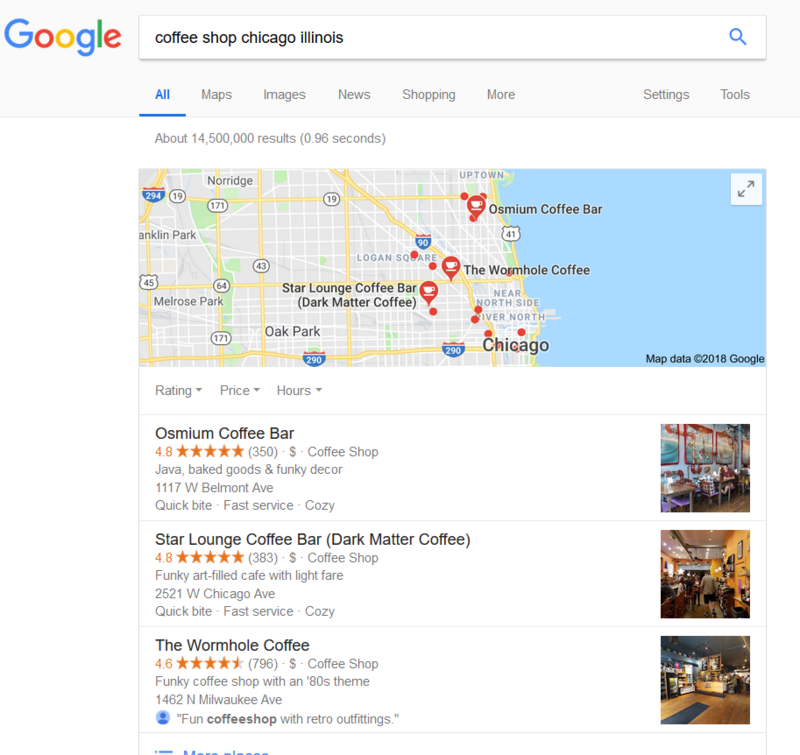 Your establishment doesn’t just magically appear in these top search results. You have to use the digital marketing tactic local SEO to get it to rank higher. When people hear about your brand, the first thing they will do is search online like this. Will they find you? Will it be easy for them to connect with you and learn about your products and your promotions? If not, it’s time to get crackin’ on some digital marketing tactics. Your consumers may not be walking by your front door every day, but they are on the web daily. Marketing online gives you a better chance of finding, capturing, and connecting with these people who can become loyal customers. Putting up a website is step one. Let’s talk about a few more digital marketing tactics you can use right now to get more exposure. 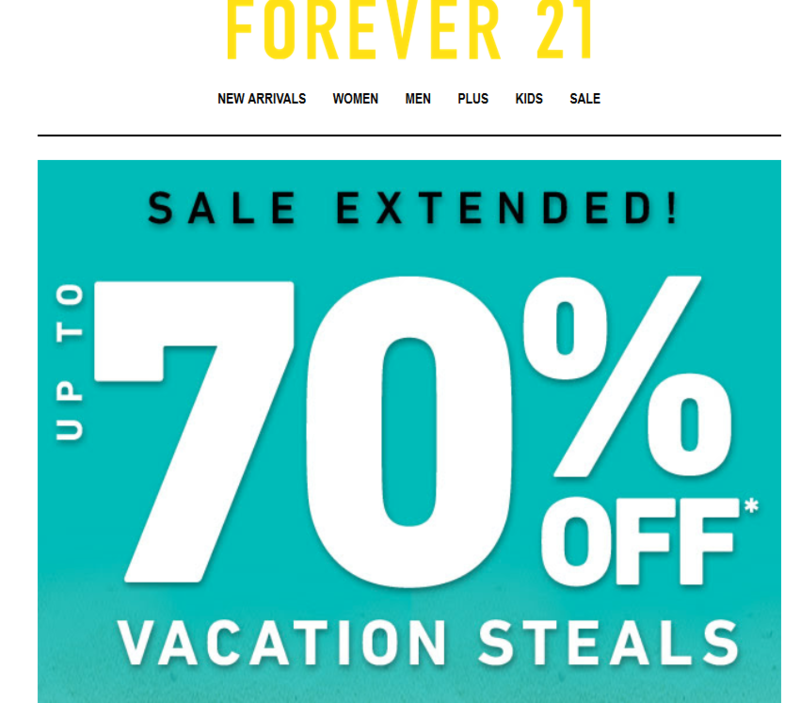 Got company updates, special promotions, and seasonal sales? One of the best ways to notify your customer about these events is via email. Send an email blast to your subscribers to notify them of new company happenings and to keep your customer relationships strong. Whether or not you sell products online, you can send your subscribers reminders to take advantage of your special in-store promotions. 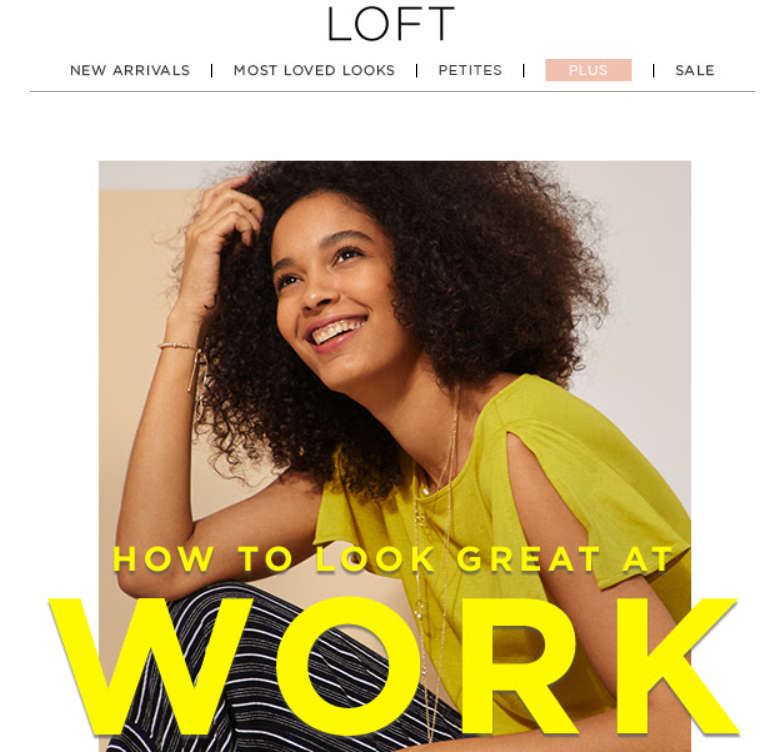 LOFT sends creative emails offering subscribers help with putting together work outfits. The fashion retailer is providing value while also attracting interest in its products. 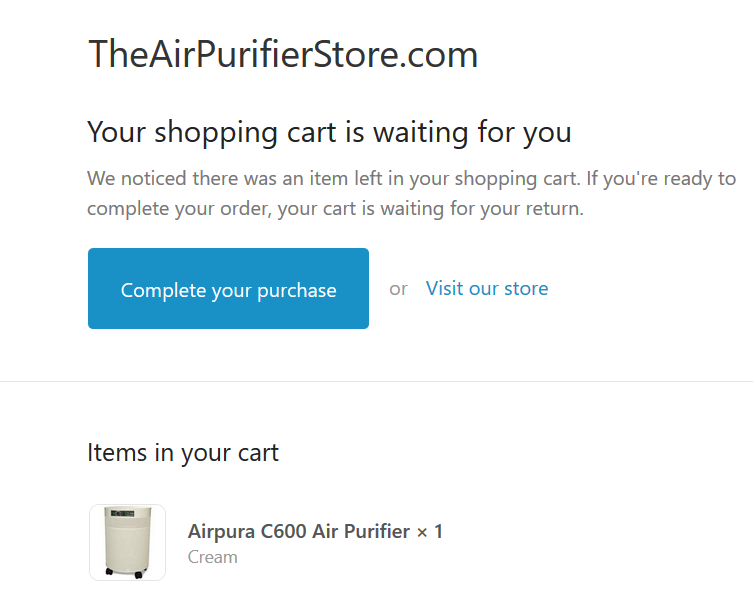 If you sell your products online, use automated emails to recapture customers who abandoned your checkout or shopping cart. You can set up these automations directly in your email service provider (Aweber, GetResponse, etc.). You can also personalize your emails so the right people get sent the right message at the right time. This increases your conversion rates. We talk more about personalization tactics here. Building a list of subscribers who want to connect with your brand is one of the most powerful digital marketing maneuvers. When managed correctly, you can leverage this growing tribe of subscribers to increase sales and build your brand. Let’s say you run a coffee shop and your busiest hours are between 7 and 9 a.m. serving half-asleep corporate caffeine addicts. So you get your daily “regulars” into the store, but what if you could double and triple your morning rush? How would that increase revenue? Maybe you tried offering a 2-for-1 promotion or half-off coffees for the rush and you posted signs out front. But, this message will only reach the few dozen people who pass your store on their way to work. What about the other thousands walking the streets by your establishment who may never hear about your half-priced mocha supreme lattes? You need to bring your message to them, and location-based advertising can help you do it. With location-based advertising, you can send your promotional advertisements to the mobile phones of the people located within your immediate vicinity during a specific time of day. In your advertisement, you can send them to a landing page that advertises the promotion and shows your best product pics. What if the consumer is too busy to find your establishment because they are rushing to work? In the ad, link to your social profiles and tell them to follow you to get access to your daily promotions. Even if they do not visit your store, once they follow you, you will have gained a connection that can become a future customer. We can almost guarantee that your competitors are on social media. Well, that is, unless you are manufacturing airplane engines. 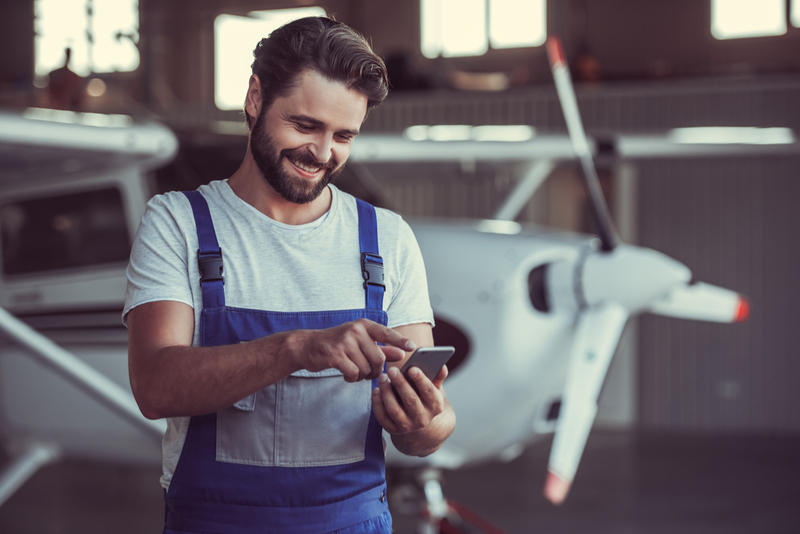 But, if you aren’t into airplane engine parts and you have a physical store and/or sell products online, social media can be your ticket to massive exposure. Don’t worry though. You don’t have to be on every social media site. This is not a numbers game. Just be where your customers are—that’s all. There are a lot of social sites you could frequent, but if you are selling physical products, then Instagram should be a top choice. The reason is that the Instagram platform focuses on a visual experience and product images are popular for this reason. Retailers post lifestyle images of their products to entice consumers to connect and buy. Consumers also use Instagram to stay connected to local shops they adore. It’s a way to keep their favorites organized and top of mind. E-commerce store owners use Instagram to showcase beautiful product images and also user-generated content (content your customers upload that shows them using your products). 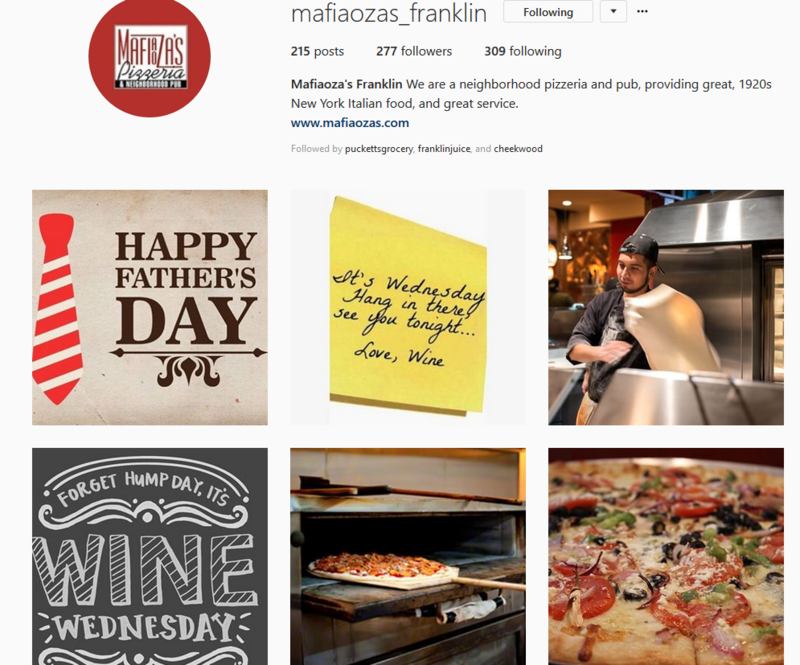 The best part about user-generated content is that it is free content for you to share to your followers. And it shows your followers that other people love your products. Win-win. 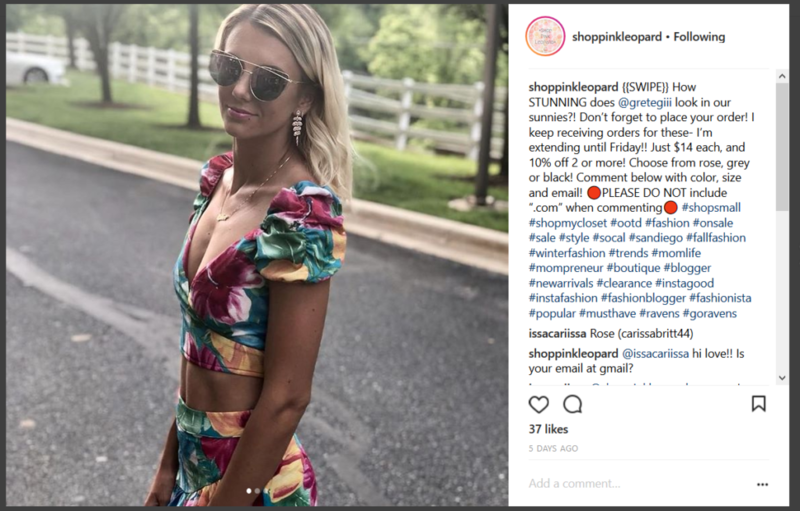 Here’s an example of user-generated content posted by the brand Shop Pink Leopard. The real power behind social media is that it allows you to develop relationships with your consumers and interact with them in real time. This builds trust (which is HUGE). Trust is the foundation of selling and an integral component to building your audience and amassing loyal followers who will come back to buy from you again and again. Social media puts this power directly into your hands. Instagram isn’t the only social media profile out there. Facebook can also benefit brick-and-mortar stores. In addition to building relationships, Facebook ads can help you recapture the people who visited your website but did not buy. This is known as Facebook retargeting. If you want to learn more about this powerful tactic, check out our Facebook retargeting article series here. Facebook retargeting will only benefit you if you sell your products online—which is something we recommend. But, is online selling right for you? Let’s dive into this a little more. Should I Sell My Products Online? Selling your products online is another way you can reach more consumers with your brand and get more customers. Now, you obviously won’t be able to ship lattes, but if you sell shippable products, consider transitioning to an online store (making your physical products available to sell online also). And as we mentioned before, brick-and-mortar businesses that want to reach a wider audience should consider e-commerce since people appreciate the speed and convenience of shopping online. E-commerce revenue also soared to 108.2 billion last year, a 14.6% increase from 2016. That’s a lot of opportunity for you to reach more customers. Just because e-commerce is blowing up doesn’t mean you should start selling online tomorrow. Selling online won’t solve your company’s problems. In fact, it may exacerbate them. For example, if consumers are visiting your store, but they are complaining and not buying your products, selling online won’t necessarily solve product issues or incorrect pricing. If your salespeople aren’t attentive to your customers, moving this culture online won’t solve your problem either. The point is, don’t go into e-commerce just to sideswipe your business problems. Do you have to run a perfect business to go into e-commerce? No, absolutely not! You will always face business problems. The point is that e-commerce won’t solve all of your problems…well, except for one. There is one problem selling online can solve. If you can’t get enough exposure for your products, selling your products online will make it happen. It will also target those couch-loving, outdoor-hating consumers who want to click and shop from their cozy recliners. If you have a WordPress website, getting an online store set up can be as easy as installing a plugin. We recommend using this WordPress plugin for its ease of use and its customization features. And the best part? It’s FREE. Yes, free. With its extensions you can do everything from syncing shipping rates to tracking affiliate links to everything in between. The extensions can either be free or premium (require a fee) depending on the feature set. If you don’t have a WordPress website and you want to open up a store on a separate domain, consider platforms like Shopify or BigCommerce. These platforms offer all-in-one solutions for your e-commerce store, but they also require a monthly fee to maintain. Setting up an e-commerce store is an extensive topic, however, and if you don’t know where to begin to sell your goods online, we recommend consulting with an expert. Is It Too Late to Start Marketing and Selling Online? It’s never too late. Businesses should start marketing online during their infancy, but more mature businesses can still benefit from seeing how competitors have operated in the online space and following suit. Just think, your audience can grow bigger day after day and you will have more ways to connect with them and increase their trust in your brand. If you sell your products online, your influence will no longer be pigeonholed to one location. Sell products to people miles away from you, in a different state, or a different country—the world is now open to you. Have any questions about digital marketing and selling online? We are here to help! Contact us today and get your questions answered.